Borrowed my Daughter's Canon 5D with a 24mm Lens so i could take some shots of my den..yes its untidy but that's how i like it.. much to my other halfs dismay. 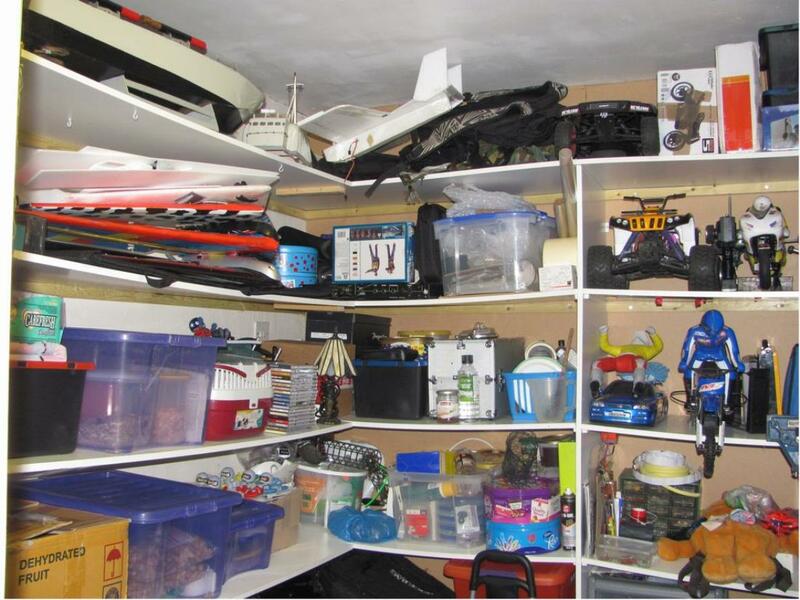 -AND THIS IS THE BACK BIT..
What a brilliant den to spend many hours! 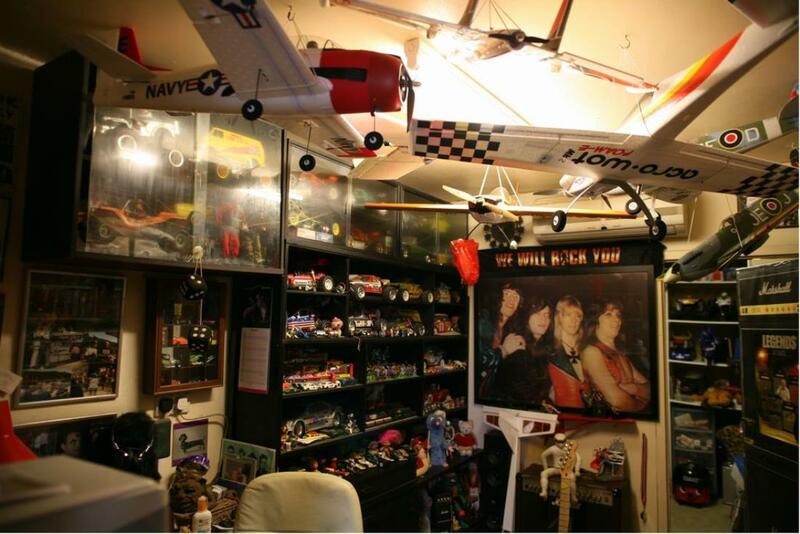 I noticed the action men, I have a few boxed away, no room left in my den for them unfortunately. Super cool place! Nice collection, I'm missing that screen saver. Loving this - Masterpiece - LOL. 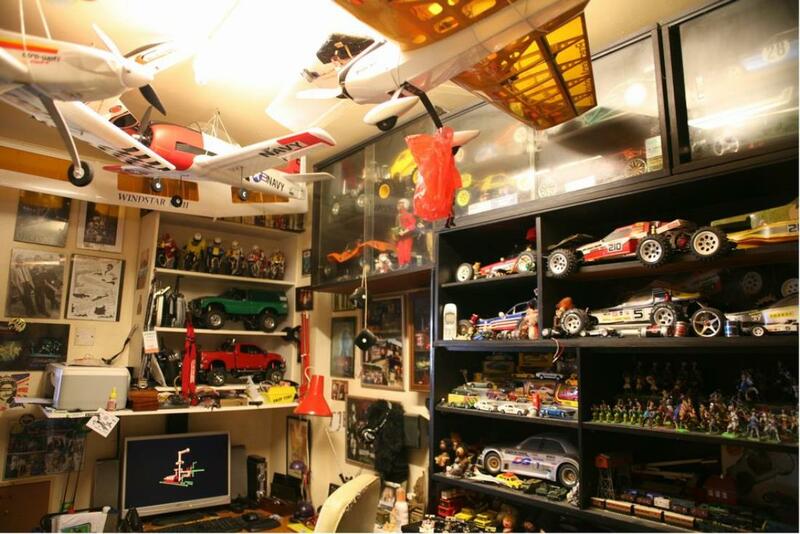 Have a few action men myself (see showroom) - great mix of cars, planes, motorbikes - Amazing how we can make some of the smallest rooms in the house the most interesting - keep going my friend. 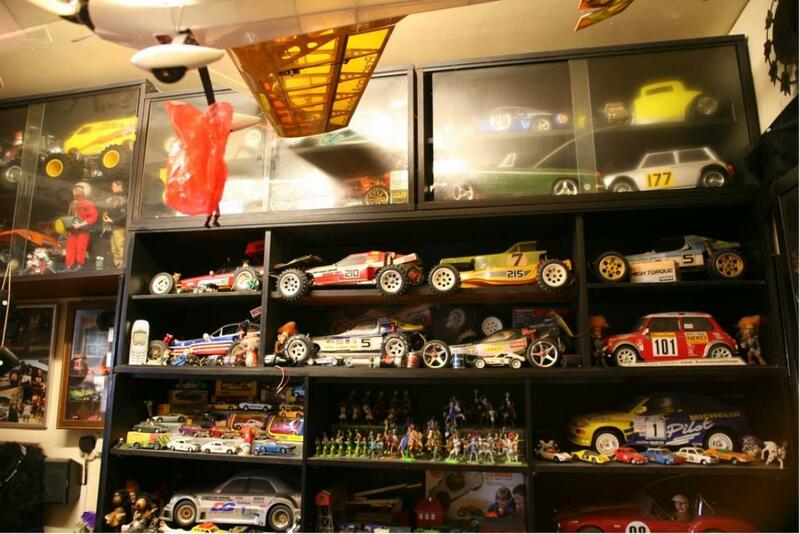 Great looking den you have and very nice collection! 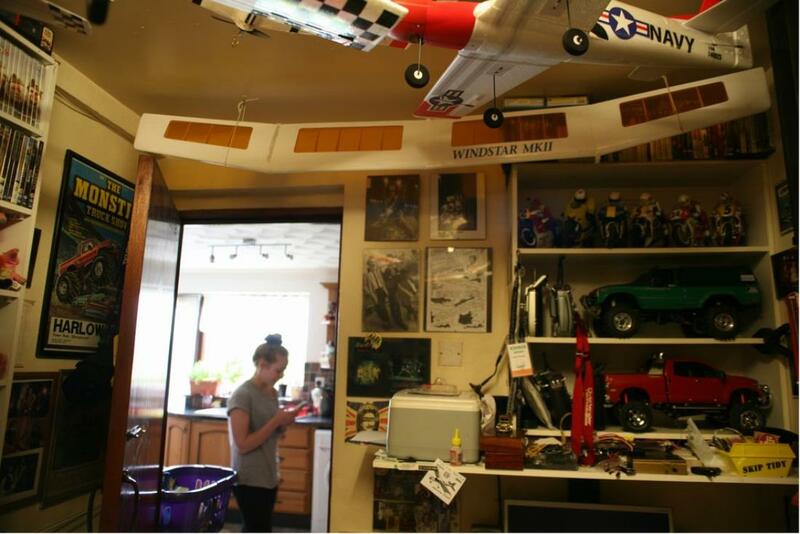 Do especially like those planes and was planning on getting a few myself in the past but unfortunately i have low ceilings. Amazing hideaway! You've nicely packed everything in very neatly.